At last a decent weekend of fishing for a lot of anglers. It is as if someone flipped a switch last week and turned the fishing on. There was a lot of anglers fishing Chesil from Abbotsbury to Cogden and plenty of Plaice and Dabs caught. 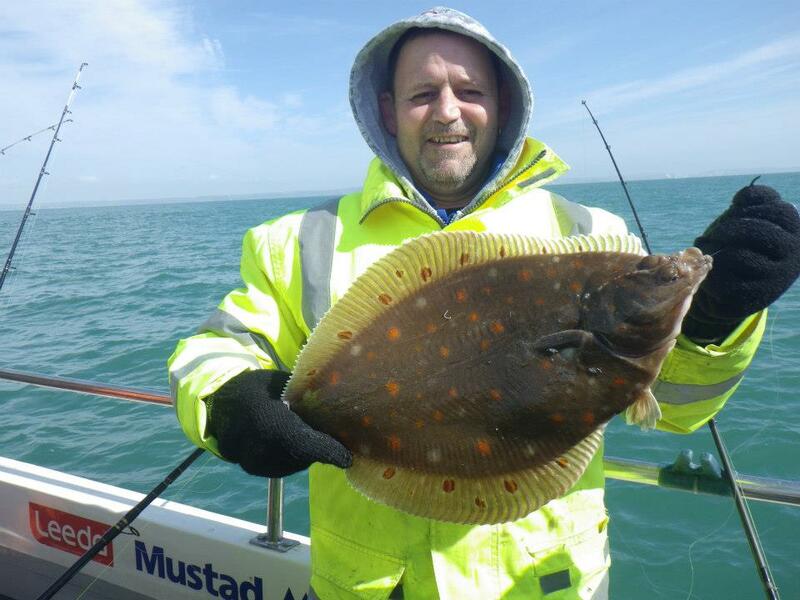 There was a nice 11lb Undulate Ray caught to the right of West Bay and several more came from Seaton. The Charter boats got out at the weekend and reports from the Weymouth fleet say that although it was tough going, some great Plaice and Turbot were landed from the Shambles. Boats going a bit further on to the wrecks had some great Pollock and Ling. The Lyme Bay boats also had a great weekend with some cracking Pollock for them. Chesil Beach: Calm with a 1m swell. The water is lightly coloured. Chesil Beach forecast: If you are lucky enough to be able to get out this week and you are looking for some flat fish, then head for Cogden, Abbotsbury or West Bexington for plaice and Dabs. Conditions are not quite perfect, but they are good. With plenty of Plaice up to 3 1/2lb caught over the weekend, I am sure there are plenty left to catch. Quite a few Pollock are being landed in and around Chesil Cove. You also have a good chance of a Wrasse from the same area. With a big jump in the water temperature overnight, it can only be a matter of days before the Mackerel arrive in force. Portland: Pollock and Wrasse will be the main day time targets from the Bill and Church Ope Cove. Night time would be worth a go for Conger, large Pollock and Bass. Weymouth Bay: Weymouth harbour is full of Thin Lip Mullet. I had a good session yesterday, when I managed to hook 7 on LRF gear. I used a Mepp with the treble cut of and replaced with a size 6 kamasan and baited with a Power Isome. I took some video and pictures that I will try and post later. Boat & Kayak Fishing: Plenty of fish caught from boats and kayaks over the weekend. The wrecks and the Shambles produced some lovely fish. Small boats fishing the Hood entrance had plenty of smaller Pollock and Wrasse.